Hello everyone! It is always sad to say goodbye to past members as every one of them has brought so much to the team, both personally and in their contributions to the challenges! 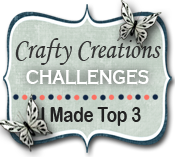 A very big thank you to Claire, Rudlis, and Donelda who most recently had to leave us, and to all our past members as you have all given of your time and energy to help forge Crafty Creations Challenges! Now onto our CHALLENGE this week: A SUMMER SCENE! 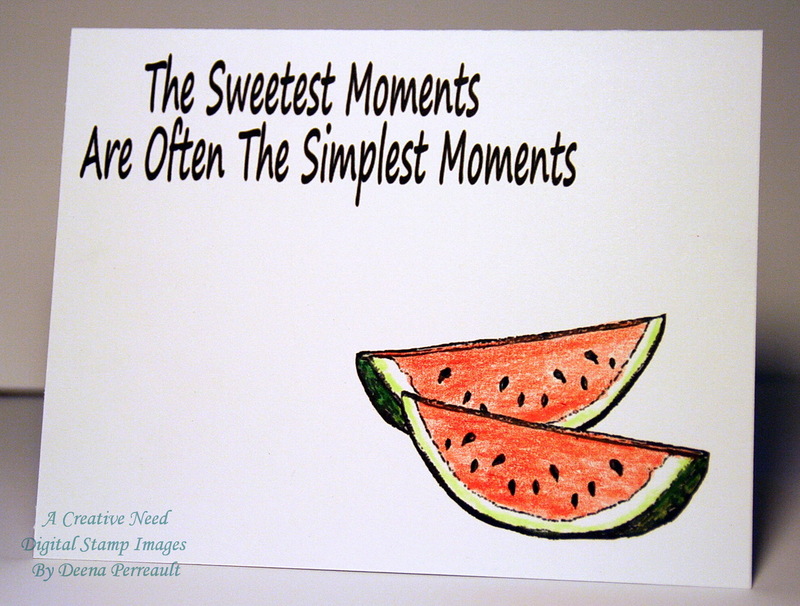 Get creative and share your favourite summer scenes! 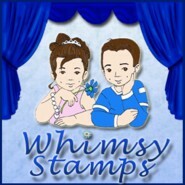 Whimsy Stamps is a family owned art stamp company dedicated to providing crafters around the world with whimsical and fun rubber stamp designs. 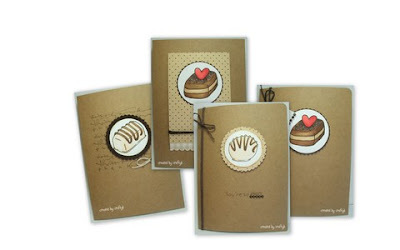 Our exclusive stamps are great for card making, scrap booking, and many other crafting projects. 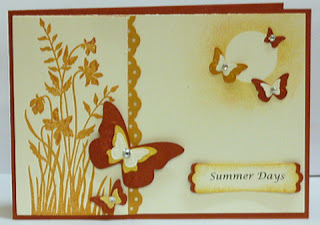 Jaime created a sweet summer 'moment' with this lovely paper pieced card! 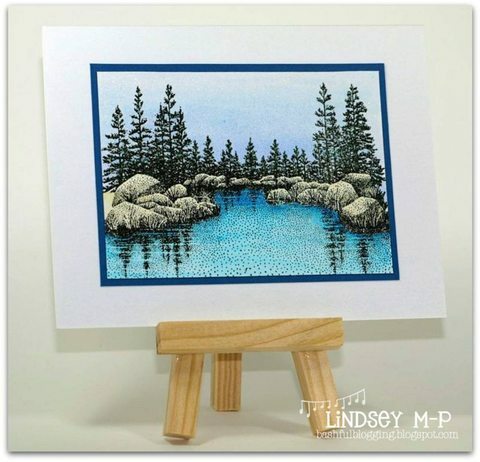 Lindsey's summer scene is this lovely soothing tree lined lakeside view! As we are starting up our new term, I would like to introduce and welcome our NEWEST TEAM MEMBERS!! Helen Plant will be bringing us years of experience to our challenges! 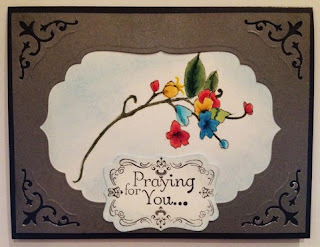 She has been making cards for about 13-14 years now! Her passion as a hobby is stamping or using digital images and colouring with alcohol markers. She does digital designing too! 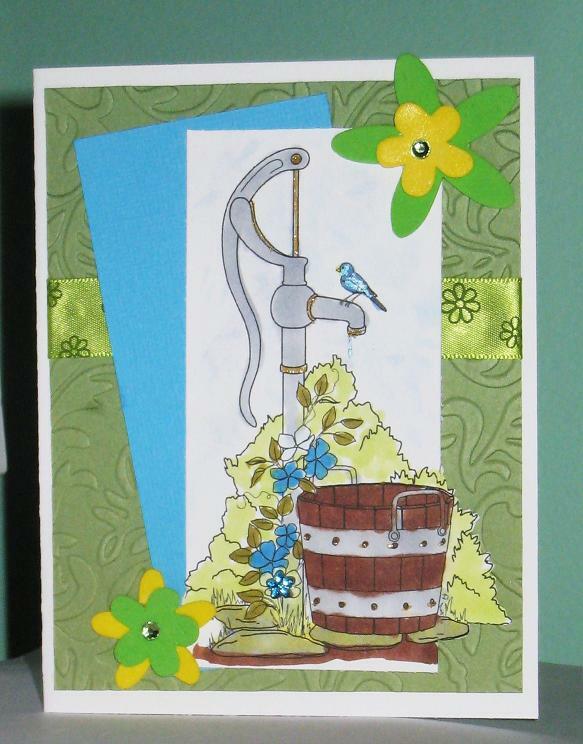 She says " I so wish I could sit and make cards all day 24/7!" Anna Jasiolek keeps busy as a full-time primary school teacher, as well as a fitness instructor and a dance teacher! Anna is a newcomer to card making, but you wouldn't know it to look at her blog! She is a fast learner with unique ideas of her own! She says " I like making cards with a little twist: wedding card? Why white? A flower? Why not use a coffee filter? A magazine ad? Oh, what a cool background! I also love using wrapping papers, there are so many details on them! And I love challenging myself... I know there are mainly proffessionals surrounding me (as I can see, people are crafting 7-10 years... WOW! ), but why not try? I prefer that over regretting I haven't tried at all." We say go for it Anna!! 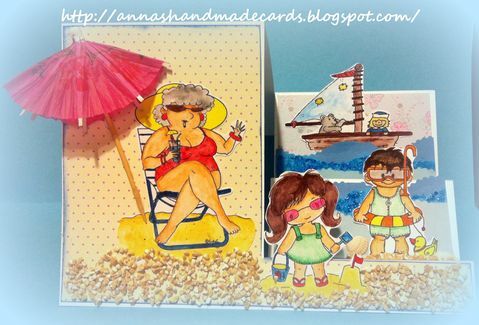 We're sure Anna will WOW us with her new creations too!! Michele Greenwood has been married for 20 years and with 3 kids, she says that crafting is her RELEASE and 'keeps her sane' HA! 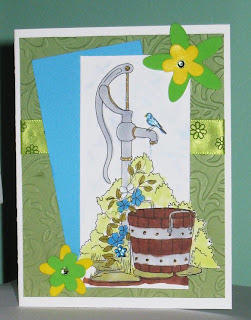 Michele says "... my neighbor introduced me to scrapbooking which I did for a bit but somewhere along the line I created a card and found INSTANT GRATIFICATION. So yeah, I've never looked back...which also means my kids will not have any scrapbooks. 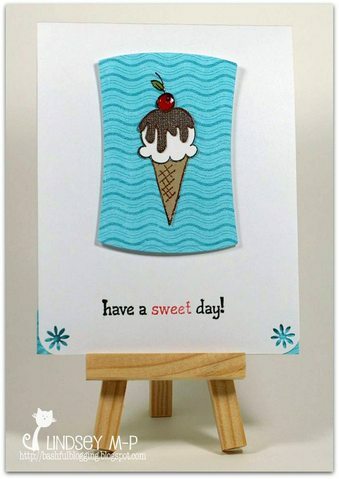 LOL"
Michele has been on several other design teams and is currently with Ladybug Crafts Ink and Cupcake Inspirations. 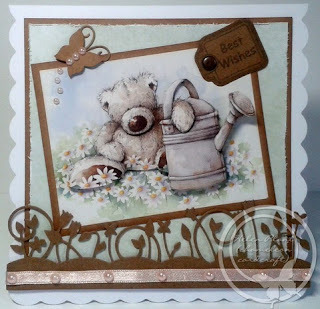 We're sure that with all the gorgeous cards Michele will have given them over the years she will be forgiven for having no scrapbooks for her children!! 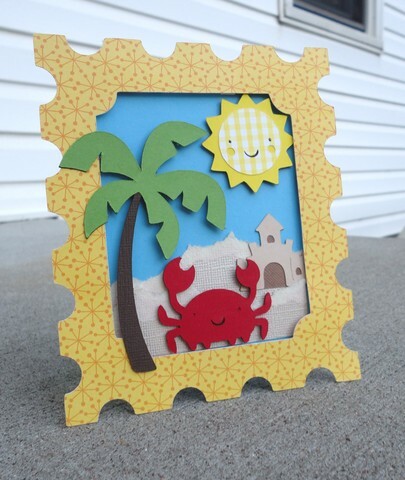 Tonya Morgan has been paper crafting in one form or another on-and-off for over 10 years. She is an almost 30-something, stay-at-home mom with two beautiful children who tend to be the main subjects of her scrapping. 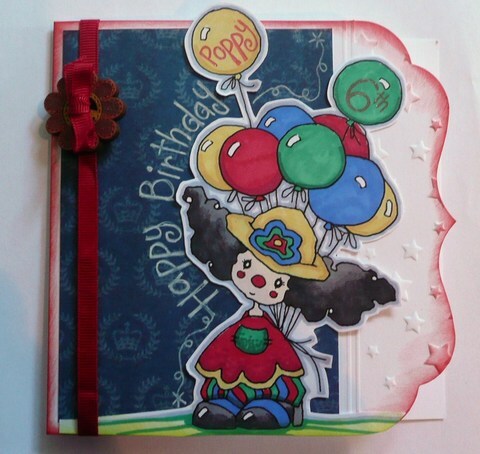 She loves making scrapbook pages and 3D/altered items. Tonya says "Showcasing my families memories is my passion. I don't consider myself to have a specific style because I love to experiment and try new techniques." Tonya also loves to experiment in the kitchen! 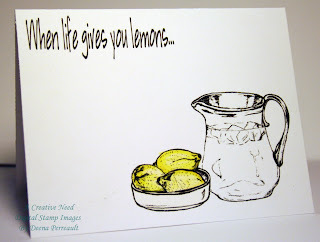 We can't wait to see what creative 'recipes' she brings to our table!! Louise Sims lives near Cambridge (UK) with her hubby and 2 sons, plus her 'mad dog'. Louise has been crafting for about 5 years and is on several DTs already including Polka Doodles, Studio 12 and Mischelflo Creative Crafts. Louise says "I just love that bits of paper, card and embellishments can make original, "works of art". Even more satisfying (to me) is knowing that no 2 cards you make will ever truly be the same, making them unique to the people who receive them!" Louise's style is so unique and lovely; we are in for a real treat!! Meighan Wheller lives in Sydney Australia and is the mother of a wonderful daughter, sharing their home with Daisy the Dog (a Border Collie) and Flick the Bird (a cockatiel). She says "I love trying new techniques and have recently been trying out punch art, a little more 3D projects and coloring images. So depending on the challenge, what I have on hand is normally how I come up with an idea. I attended my first card class about 10 years ago and I was hooked. I am always inspired by new techniques, challenges and general curiosity of what everyone else is doing and then finding the time to give this new inspiration a go." 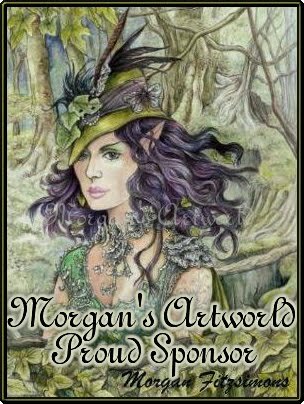 We look forward to seeing more of Meighan's inspired creations! 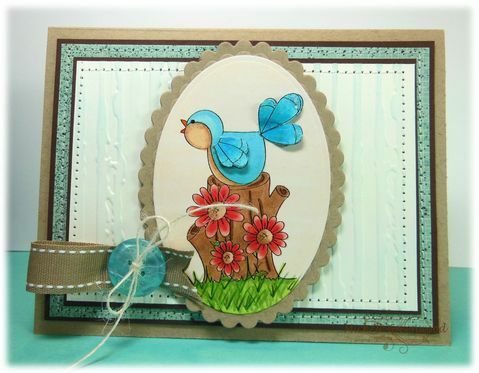 Corrinne Quinn is an avid crafter, who adores all types of crafts and anything that is handmade. Corrinne lives in Oregon with her partner and their furry children (pets). She says "I am constantly creating something & it's where my passion lies!" We are so happy that Corrinne will be sharing her creative passion and talents on our team! Evelina Karhu is the youngest member of our team and living in northern Sweden in a city called Umeå. 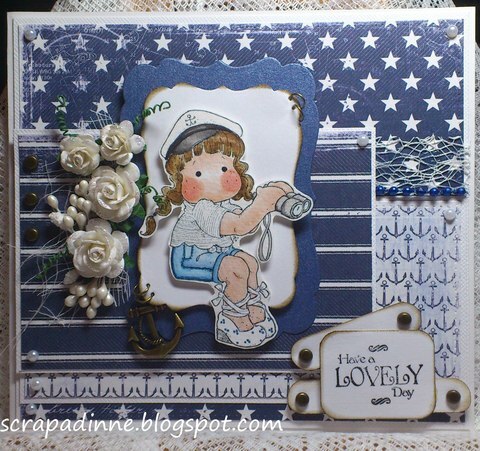 Evelina started scrapbooking in 2008 and says " I really enjoy it. 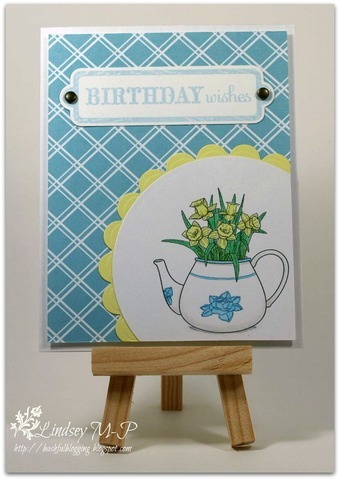 I’m not devoted to a specific genre within scrapbooking – I like to try out new things – and I do both cards and layouts." We are eager to see more of Evelina's fresh and fearless takes on our challenges! Please extend your welcome to our new team! I'm know they would be so pleased to hear from our challenge takers! Now it's your turn! Let's see what you will share for our SUMMER SCENES challenge! Congratulations Lavina! Please contact Deena for you prize! 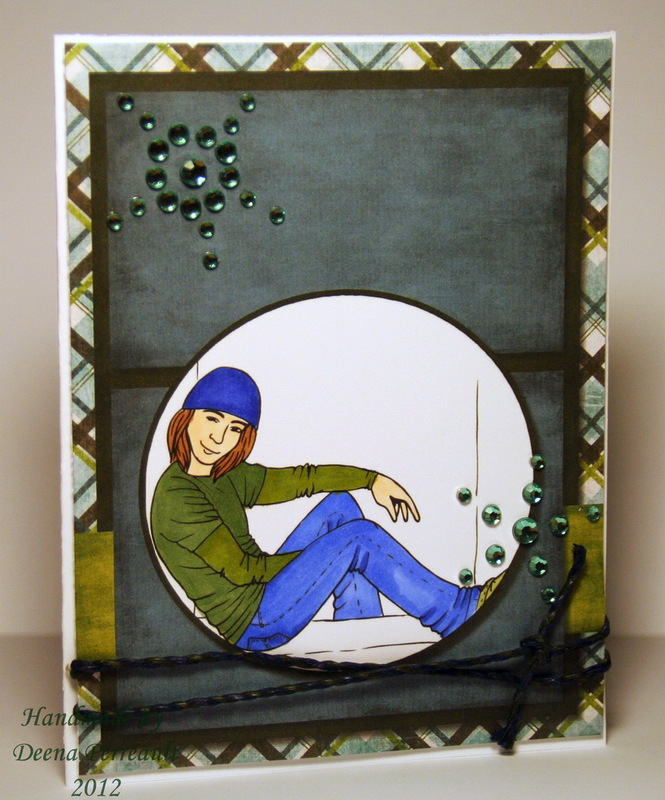 GEMS AND TWINE is the theme of our challenge for you this week! Let's embelish with those glimmering gems and then tie up your creations in twine or fibers to offer up a perfect package! Susanne is offering five digis to the winner AND if we have more than 50 participants 2 Digis will be offered to the runner up as well! I used Hangin' Out to make a hybrid card for my nephew. 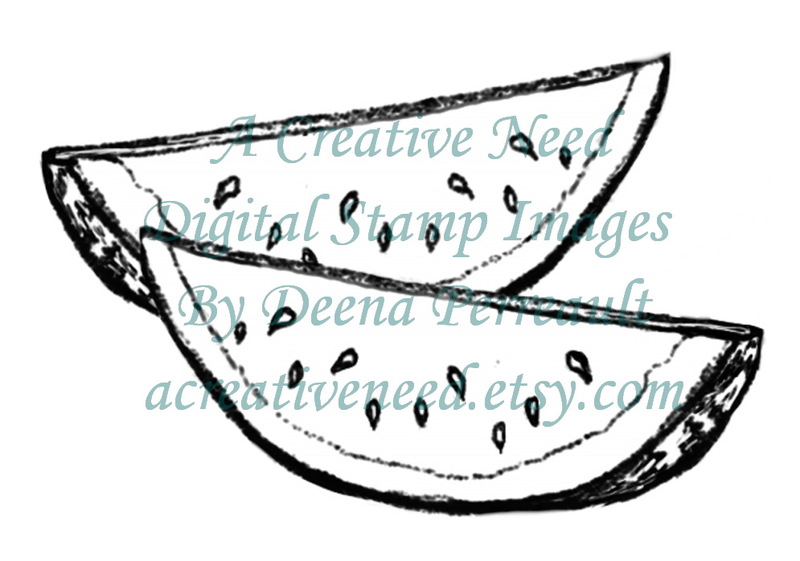 The 'layers' of paper are digital! 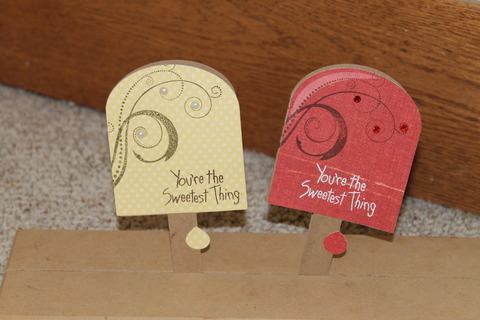 Bernie made these sweet creations with San's Designs newest chocolate confections! Yummy! used one of San's Holiday images and just had to throw a Christmas Card in there - it just seems too early! 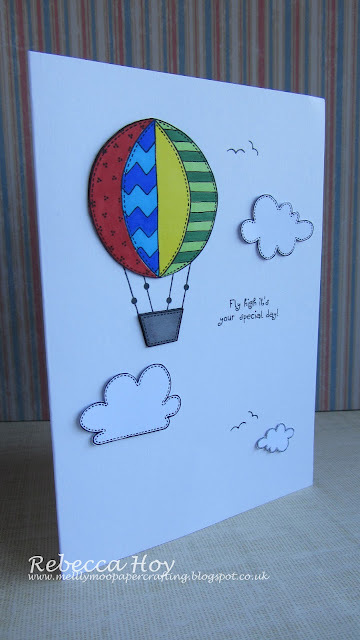 The winner of last week's Olympic Colors Challenge is Rebecca with this fab lil number - must say I really loved this fresh and airy creation! Congratulations Rebecca, please contact Deena to claim your prize!! COLOR CHALLENGE #183- YELLOW SUNSHINE, BLUE WATER AND GREEN GRASSES. It's me, Peggy, I have come out to play after a very long time. So glad to be hosting this fun themed challenge. I love the colors and what they all stand for...summer, nature and fun! 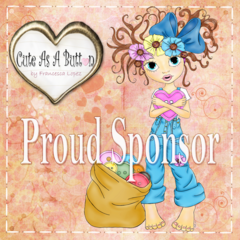 We have an awesome sponsor again for you this week from Australia; Rebecca Muir. 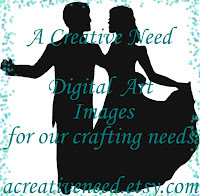 Wait 'till you visit her website if you haven't already here it is: BECCY'S PLACE. 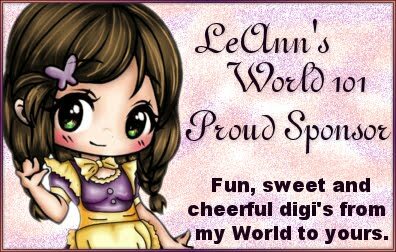 I just love her whimsical characters and real nature images, she has a fabulous collection of flowers you can't miss. Jaime brings the 1st page layout of a 2 page spread. 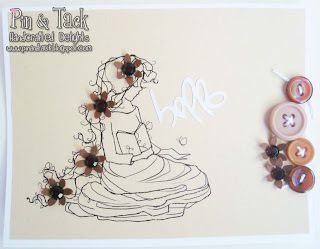 Check out that cute flower used from Beccy's Place. Bernie has a wonderful card for us this week! Loving the flowers and all those pearls! Lindsey's card is so crisp and clean. 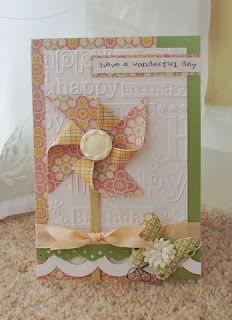 Love the off the corner scallop and circle! Here is my card. I used the OLD PUMP image. Isn't it pretty.Added a few sparkles on the blue bird's feathers. Well hope you can join us in the color inspired fun this week. Link your creation below. OOPS! 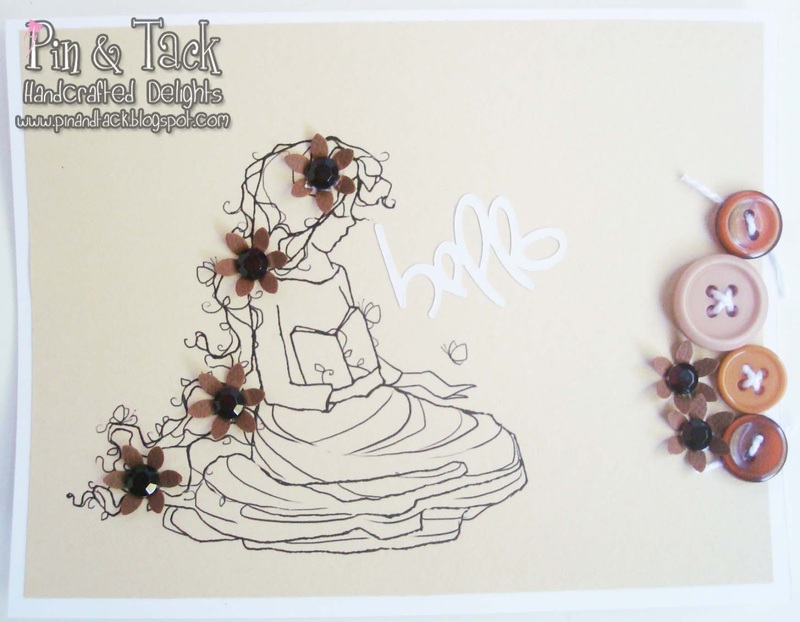 It seems that we missed announcing a winner for our BUTTONS challenge a few weeks ago! Thanks to Fiona for bringing it to our attention! Corrinne please contact Deena for you prize! Thank you for joining in our Summer Treats challenge last week! It sure helped cool things down! Congratulations Kelly!! 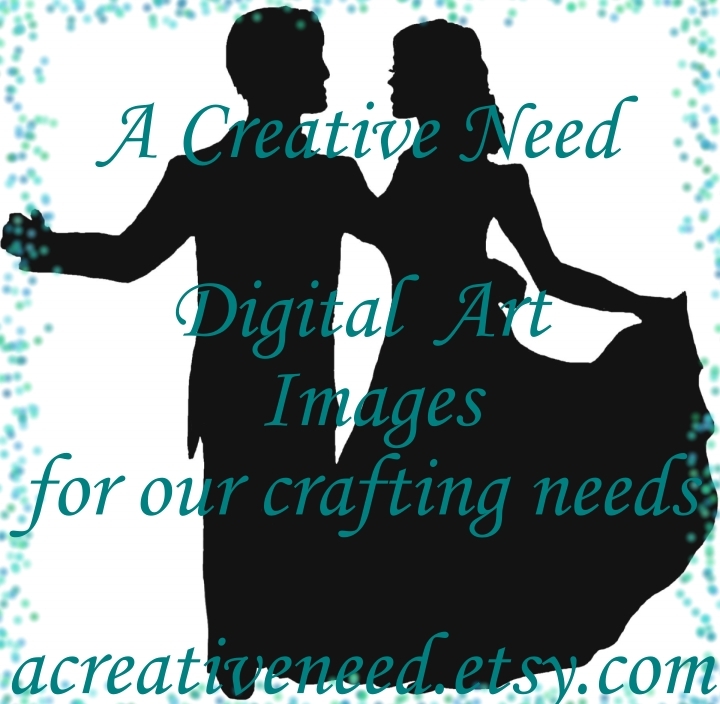 Please contact me, Deena with your 3 digital image choices from A Creative Need! I would also like to give a runner up prize this week!! 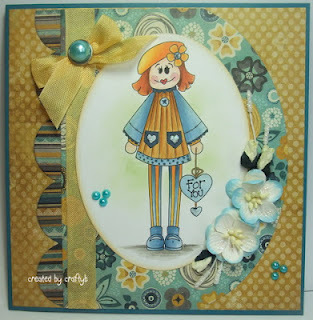 Crafty SUZE used my FREEBIE in her creation here! It just made my day, so Suze, please select 1 image of your choice from A Creative Need and contact me too! I am trying to watch as many Olympic events as possible!! It's so amazing to see the dedication, desire and drive that these athletes have! I've seen some unbelievable performances, and it's so inspiring to see so many people coming together from every corner of the world!! As a celebration of the Olympics and the hope, inspiration, and jubilation it brings to so many people, lets use the Olympic ring colors in our creations! 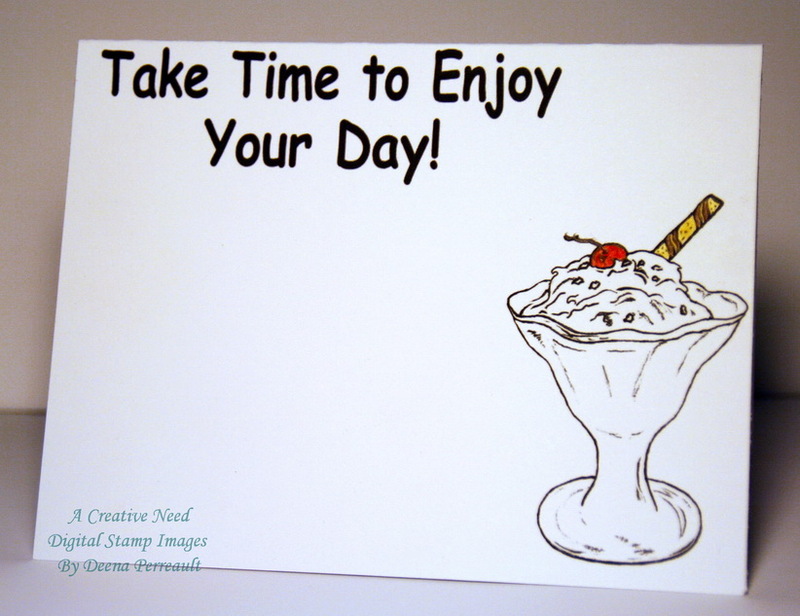 It can be any theme, but incorporate the colors, blue, black, red, yellow and green into your projects! 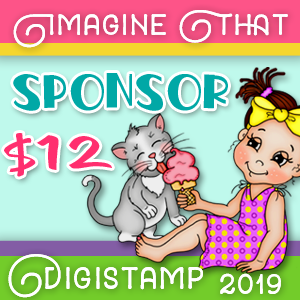 A DAY FOR DAISIES is our GOLD MEDAL sponsor this week!! A Day for Daisies is very generously offering a $12 gift card to this week's lucky winner! Stepping up to the podium now... our DT's creations using some wonderful images from ADFD! Claire has made this absolutely adorable, shaped birthday card using the'Miss ClairClown' image from ADFD! I chose to use these Five Vintage Darlings by ADFD, to make a dew drop adorned banner birthday card. 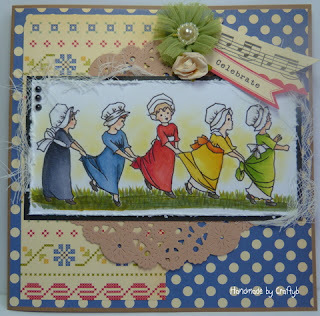 Bernie made this charming celebration card using ADFD's Five Vintage Darlings image. The muted colors and pretty patterns are reminiscent of days gone by. Juelmarie created a beautifully framed card. coloring the image with these inspirational colors! The image is ADFD's Blooming Cherry Branch. Please leave us a link to your OLYMPIC COLOR creations below! Thanks for playing and for your recent DT applications from many of you! We are reviewing the applicants and will contact our 8 new members by Aug. 11th! !